Jumbo Lookout Tower - Play Houses | Maple Leaf Designs Ltd. 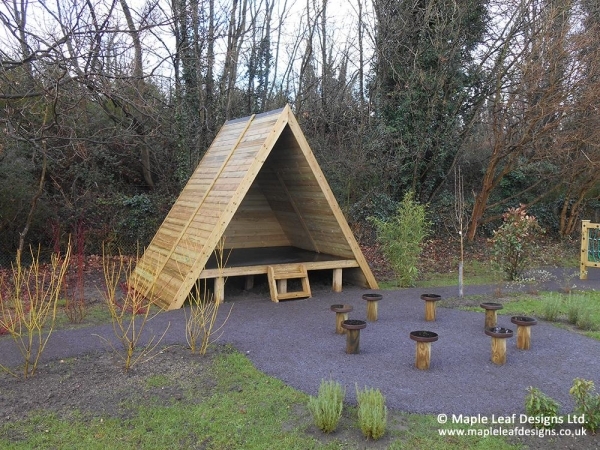 The Jumbo Lookout Tower makes an ideal hide-away in a natural play area, perfect for roleplaying opportunities or as an outdoor observation classroom for small groups of children. The tall enclosed sides provide shelter from the wind and rain while the open front ensures easy access and observation of the surrounding area, while allowing staff full view of their pupils to ensure that they are safe.